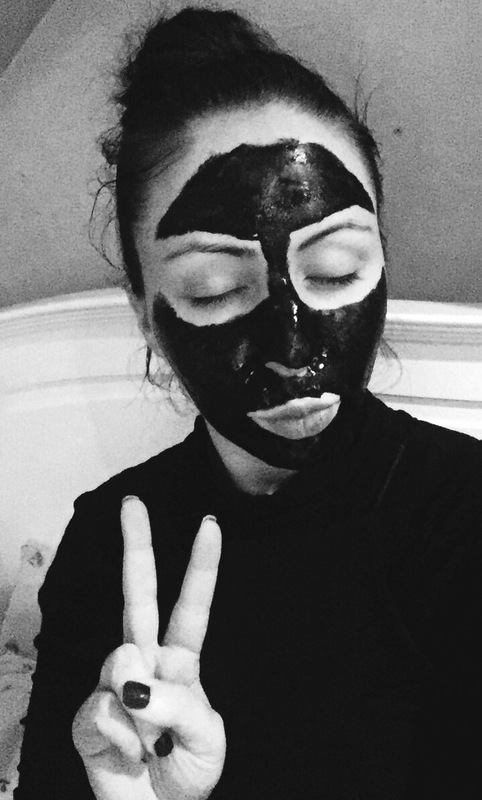 This month I finally braved it and decided to give one of these infamous charcoal face masks a go. If you haven’t seen people literally crying while trying to peel them off all over Facebook then you really haven’t lived. I bought one off Amazon for £10, you can find the link here. I chose this one because it had some really bad reviews with people saying it hurt like hell and ripped everything out of their face so of course this is the one I decided to purchase. The bad reviews only sold it to me more and with everyone mentioning the pain factor I figured that at least it definitely worked. Plus I was overdue a whisker wax and I could do with killing two birds with one stone so if it pulled all the hairs off my face as well then it would be a win/win. As you can tell from the packaging I have no idea what it’s called or what it says but it does have English instructions booklet inside which really is the only thing that you need. Handily, it comes with a ‘sebum softener’ and a pore treatment lotion which I assume is like a toner. The instructions clearly show the mask being used solely over the nose but I threw caution to the wind and decided to slap it on all over my face because life’s too short to do things in half measures. (I’m just going to put a disclaimer here so nobody blames me if they ruin their face; I am not a beautician or a dermatologist so always follow the instructions and do a patch test first. Always consult your dermatologist/ doctor if you have any skin care concerns. Always check ingredients). So once I had covered my entire face with a thick layer of mask I waited 30 minutes. It recommended waiting 15-20 but I got too carried away and put way too much on so I had to wait much longer for it to dry. Here’s a photo of me looking like a weird alien but as you can see I’ve very carefully avoided my hair because my forehead is big enough as it is and I really don’t want to be losing any of my hairline. This stuff will stick on and rip off everything so if you have a beard you are quite fond of I would definitely steer well clear of it. I peeled from the bottom up and at first it really didn’t hurt until I got halfway up my cheeks and then it started to sting a little but nothing like I had imagined it would be like. I didn’t want to rip it off quickly just in case it pulled my skin off which sounds quite dramatic but I didn’t want to take any risks just incase. So I tediously peeled the mask off slowly and I could see it pulling out the black heads and dirt, along with any facial hair I may have had. 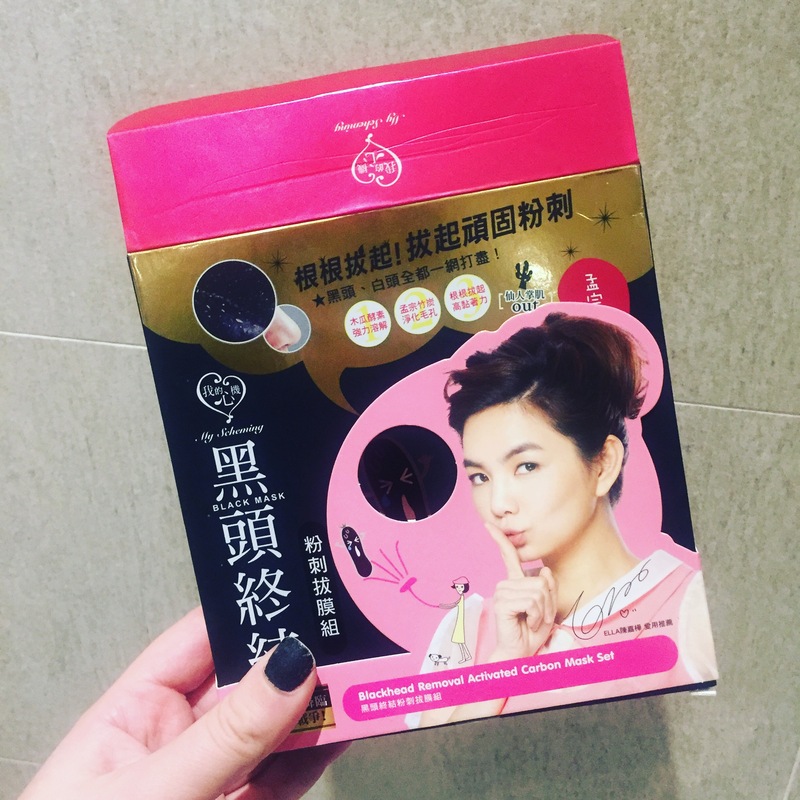 So this mask definitely does what it says on the packet (or what I would assume it says on the packet as I obviously can’t read it). My face was red and blotchy when I removed it but that’s quite normal for me as the same thing happens when I wax as my skin is really sensitive. I then used the pore treatment that came with the mask and I also cleansed, toned and moisturised afterwards. I used some of my Superdrug vitamin E serum and facial oil as well just for some added moisture. The redness went down very quickly and I had no bad reactions. I noticed immediately how it pulled all of the texture out of my cheek bones, something I’ve been battling with for a while now. The pores around my nose also looked a lot clearer and felt smoother along with the rest of my face. 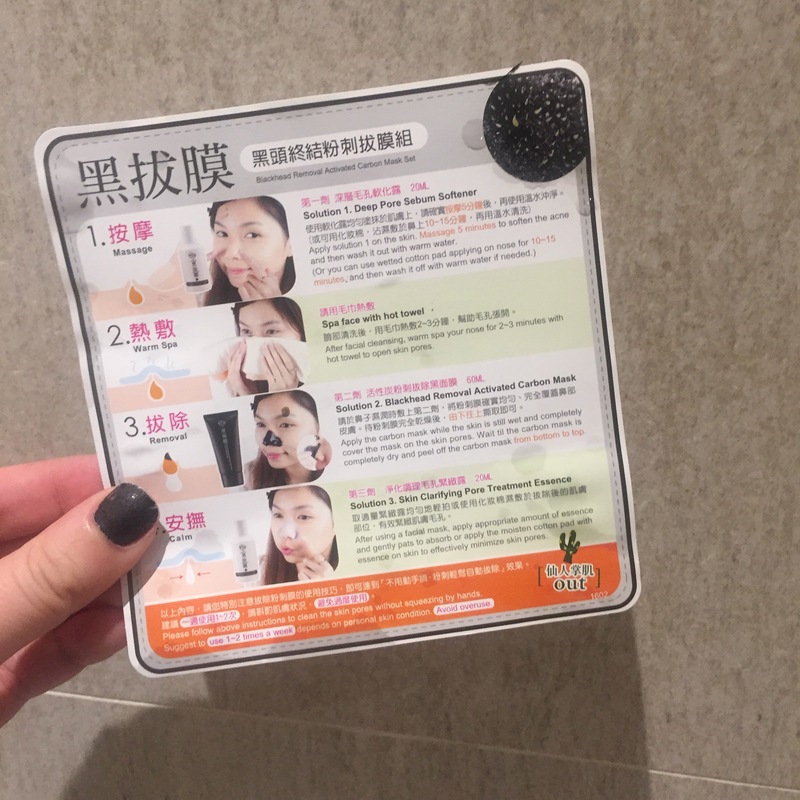 I really liked this product but I definitely wouldn’t use it often, maybe once every few months because I don’t want to traumatise my skin as I would imagine it probably removes a lot of the healthy skin cells too. But it definitely has made a huge difference to my overall skin texture!